A solo exhibit of my photographs, "Transitional landscapes," opens on Sunday, November 3, at Sweet Adeline Bakeshop, 3350 Adeline Street (at 63rd Street), Berkeley, CA 94703, 510-985-7381. It runs through Saturday, November 30. If you're in the area, I hope you'll stop by and visit. They make delicious cookies there, too! From the series, "Where you are." 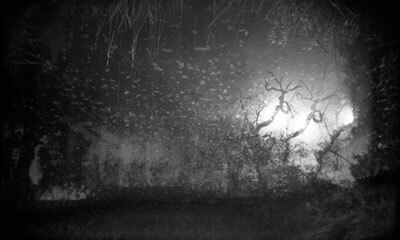 I'm delighted and honored that my image, "East #13," will be included in the Mobile Magic III exhibit at LightBox Photographic Gallery, 1045 Marine Drive, Astoria, Oregon. The exhibit opens this Saturday, October 12, during the gallery's regular Second Saturday Monthly Openings, and runs through Friday, November 8. Mobile Magic is a series of monthly exhibits of images made with mobile phones - explained much more articulately on LightBox's website than I could. The gallery makes beautiful, affordable prints of all the images included in the exhibits. Their website also includes a list of artists whose work is included in Mobile Magic III and an online gallery. 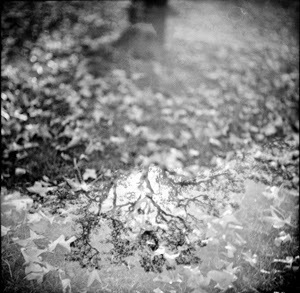 The juror for Mobile Magic III was photographer, teacher, author, and all-around Holga Queen Michelle Bates. This is my image that is included. 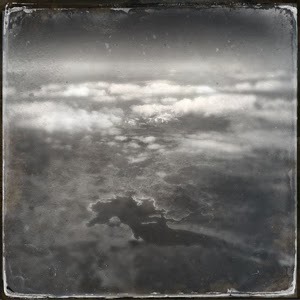 It's part of a series of aerial mobile phone images made during flights north, south, east, and west across the United States, using software that creates a faux tintype appearance. I don't think this makes logical sense, but I like the way they look, so I suspect that it makes some other kind of sense. 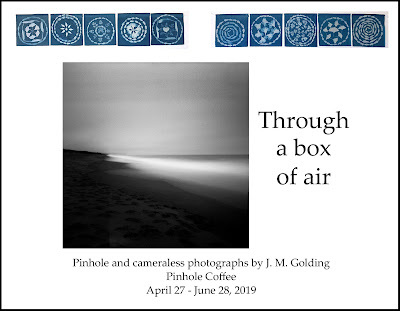 And I've learned since making these that the first aerial photographs were actually taken in 1858 by Nadar (a pseudonym for Gaspard-Félix Tournachon) from a balloon, at a time when tintype (wet plate collodion) photography was extremely popular. I think that in making these images, I was influenced by Paul Romaniuk's series of paintings, Topographies.